A new system for care funding: "Now is the time to act"
When combined with last years figures, the cumulative reduction in adult social care budgets is £1.89 billion - this at a time when growing pressures from rising numbers of older and disabled adults continues to grow at 3 per cent per year. Over 85 per cent - £688 million - of planned reductions have been secured through service re-design and efficiency and £77 million provided through increased charges. Only £113 million 12.7% - has been saved by reducing services. 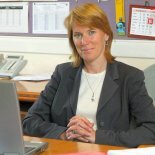 Sarah Pickup, President of ADASS, said: "The latest survey shows that councils continue to strive to protect front line services through re-designing services to focus on prevention and recovery and reducing ongoing costs, and by reviewing processes, services and contracts to ensure value for money. "Yet despite this and the use of transferred resources from the NHS to protect services and fund rising demographic pressures, some councils have had to resort to reductions in services to balance their budgets. We are particularly concerned at the impact this might have on preventative and voluntary sector services. "With pressure from care home and home care providers to reflect rising costs in the prices we pay for care; charges to people who use services - often already at the maximum permitted level - rising demand; and a downward forward trajectory for councils' funding, it could not be clearer that there is a the desperate need for politicians from all parties quickly to find an answer to how we, as a nation, are going to adequately fund social care services in the future. "If a sustainable funding system is not put in place," she said, "then despite all the skill and ingenuity directors of adult social services and their staff can bring to bear there is a real risk that access to care will have to be restricted. Fees paid to providers will be squeezed further with a risk to ongoing capacity and quality of care, while the percentage of overall savings made by directly reducing services will increase. While recognising the challenges posed by the current economic climate she went on to stress the fact that now is the time to act. This challenge will not go away if it is once again kicked into the long grass. No-one expects an immediate and complete solution. But putting in place the architecture of a new funding system and looking at how we can shift the balance of current public spending to ease pressure in the sector is work that needs to start immediately. * The largest demographic pressure is arising from increased numbers of people with learning disabilities (£168 million) and older people (£166 million). * There is a planned 0.9% average increase in fees overall - 2% increase for older people and physically disabled people in residential care, and 1% increase for people with learning disabilities in residential care, and home care for older people, and people with physical and learning difficulties. Some councils increased their fees by more than that percentage, and others decreased their fees. * Only six councils (7%) changed their Fair Access to Care Services criteria between this year and last - from moderate to substantial. there are now 83% councils at Substantial in 2012/13 compared to 78% in 2011/12 and 2% at critical only. * Councils are reducing by £110 million their spending on Housing Related Support - an 8.2% reduction from 2011/12. These budgets make up 3% of total council spend. * There has been £622m worth of NHS investment into social care in 12/13, and councils have worked closely with NHS colleagues to maximise effective use of this investment with £284m applied to offset pressure and cuts to services and £148m to invest in new social care services and £149m allocated to working budgets. The survey was conducted between April and May 2012. All 152 social services authorities were polled. 95% returned completed questionnaires.